The science behind, "But, why?" Best of all, every single one of these projects can be tossed together with items around the house or with inexpensive supplies from the grocery store. 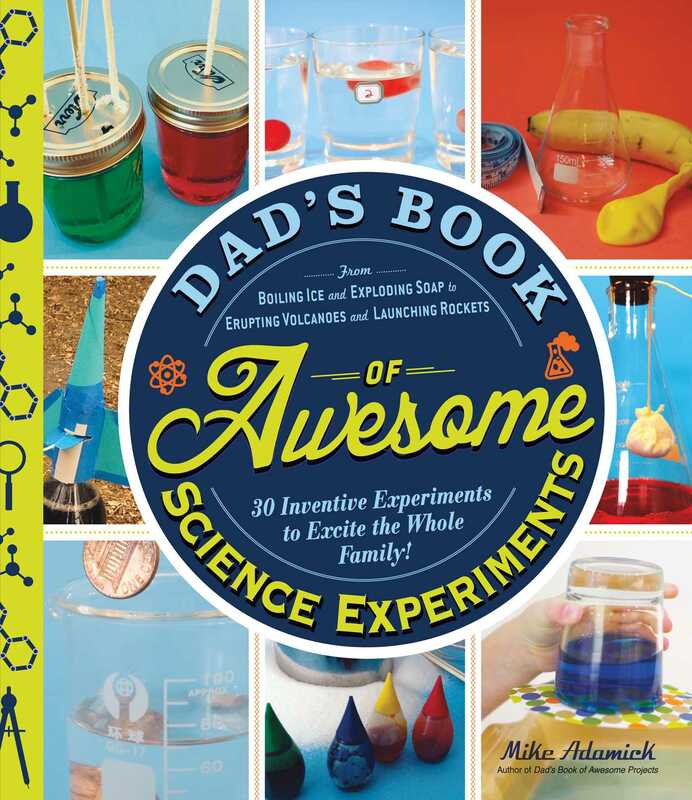 Whether your kid wants to create his or her own Mount Vesuvius or discover why leaves change colors in the fall, Dad's Book of Awesome Science Experiments will bring out the mad scientists in your family--in no time! Mike Adamick is a stay-at-home dad who writes for the Adventures in Learning science blog at PBS.org, the San Francisco Chronicle, KQED Radio, Disney’s parenting website, Babble, and the Daddy Issues column on Jezebel. His work has also appeared in The New York Times, McSweeney’s, Details, NPR, and other media outlets. He is the author of Dad’s Book of Awesome Projects, Dad’s Book of Awesome Science Experiments, and Dad’s Book of Awesome Recipes. "This book has 30 interactive experiments for Dad to try in the house (or outside if they get too messy). It covers all of the sciences, from chemistry to human anatomy. Curious yet?"